My long-time college buddy is getting married this fall and I am so happy for her! 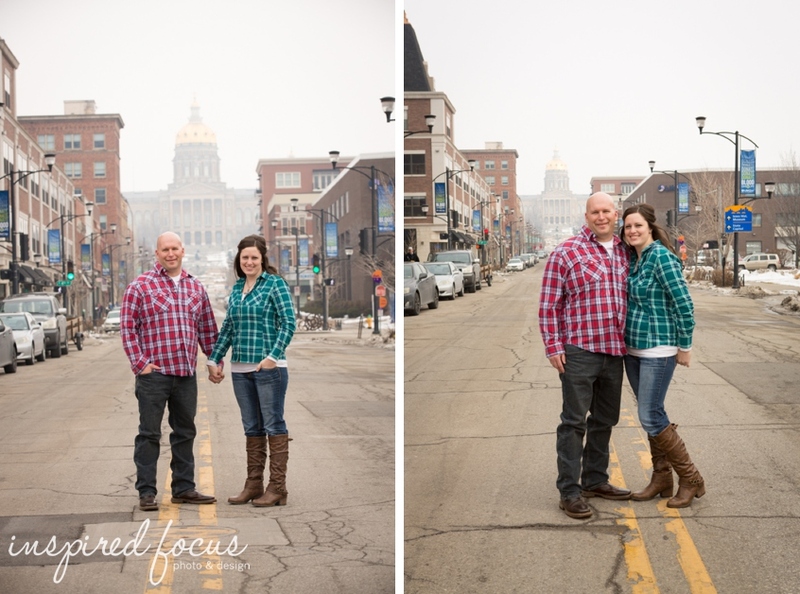 She wanted a winter engagement session, so we braved the cold and hit up downtown Des Moines including a stop at the capitol, a favorite bar of theirs: High Life Lounge and then ventured to Water Works Park. She has a beautiful golden retriever named Carver, so he definitely needed to be included in a few photos! 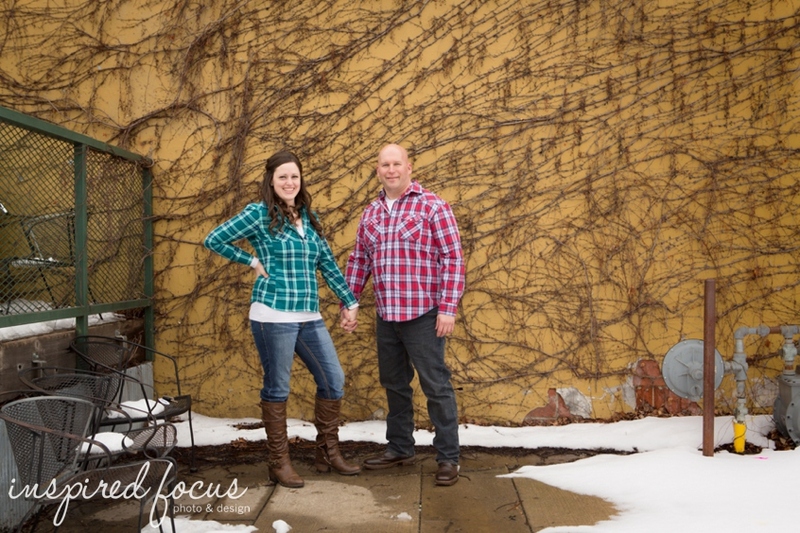 Looking forward to your big day, Danielle & Ryan! Thanks for letting me share in it! I had the opportunity to be a part of a great fall engagement session with these two last year and I was happy to be able to capture them on their beautiful fall wedding day. For the record, their fall decorations were great! I was a week and a half away from my due date, so I was holding out hope that I’d have the chance to shoot the wedding. During my final consultation with the couple, Joe said it would seriously be awesome if I went into labor on the day of the wedding, but I don’t think Chelsea was as exciting about that happening. They are both easy-going and had decided that whatever happened, it would all work out. It’s pretty cool to know that God has a plan and will work things out in His perfect timing, even when we can’t see it and have no idea what’s ahead. The wedding took place at First Presbyterian church downtown Cedar Falls and we were taken by Dolly’s Taxi to the reception in Janesville at the Riviera Roose Community Center. A big shout-out to my 2nd photographer and back-up option Jane Wiggins of Jane Wiggins Photography who was a rockstar. She captured some great images and I was happy to be able to team up with her for the day.